Goalies please email Joe at jpetrillo@goodsportsusa.com for discount code before registering. pads, rib pads, mouthguard, shoulder pads, cup/supporter, cleats or sneakers. Goalies need full gear. All players will be required to pay an additional fee to cover referee fees each game. FAST PACED ACTION ON ORANGE TURF ARENA WITH BOARDS! A GREAT WAY TO SHARPEN YOUR SKILLS & HAVE FUN DOING IT! Playing in closer spaces means your stick skills have to be tighter and quicker. Your stick handling improves because there is no room for error, quite literally. Ball moves from defense to offense with increased speed. Players learn quickly to breakout and move the ball up the field. No D-Poles means that defensive players have to use good body position to be successful. Playing in such a tight area means it is that much harder to get open. Running through people to go to goal just doesn’t work. Players learn to cut, pick and keep in constant motion. Shots come hard and fast. Goalies see more shots in a shorter period of time. Their hands and reaction time become much quicker. Gary Gait is among many who have gone on record about the shooting accuracy that comes from playing box lacrosse. Almost every point made deals with faster speeds. A byproduct of playing faster is you have to react faster. That means faster to a ground ball, faster in transition, faster to play the ball, faster to shoot the ball. You name it, your reaction to it get faster. When it comes to pre-season training, the goal is to get better for the Spring season, not get hurt. 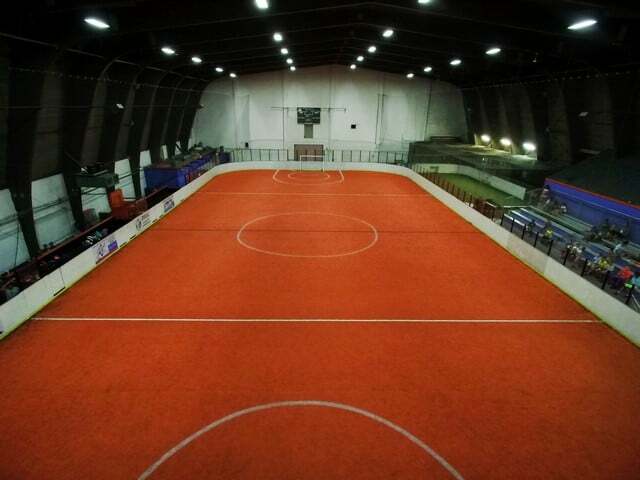 Many indoor facilities boast full fields, which ultimately are surrounded by some sort of netting. As one of the area’s top orthopedic doctors pointed out, the box is a safer playing surface. There is nothing to get tripped up on and in to. You can list as many of the benefits as you want, but the proof is in the success that box players have. Look at the most successful players over the last decade. The majority play box in the off season. Paul Rabil, Casey Powell, the Gait brothers . No matter who you identify with, the common thread is that they have or still do play box lacrosse.